Key Difference: Pledge denotes that the person who takes the loan must provide the bank with something that is worth the same amount as the money he/she are taking from the bank. Hypothecation is the practice where the borrower pledges collateral to acquire a loan. However, the borrower owns the property or collateral until he pays off the debt. Mortgage is not a way of lending but rather the security interest in real property held by the borrower. These words are often thrown around in banking terminology, making the normal people who are unaware of such terms feel like they are trapped in the Terms and Conditions section of a particular deal. Many banks even take advantage of users that are not aware of these terms, to trap them in loans and deals. It is best to understand what these words mean and how they differ from each other. There are three popular terms that are used when it comes to issuing loans. These do not include the different types of loans or mortgages that exist but rather the main three that differentiate from each other in the way the ownership of a property works. These three include: Pledge, Hypothecation and Mortgage. This denotes that the person who takes the loan must provide the bank with something that is worth the same amount as the money he/she are taking from the bank. Or rather, the bank pays them what they think is the worth of a particular piece of property. In slang, this is also known as pawning. 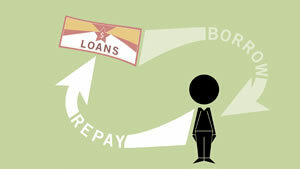 When the individual who issues the loan repays the amount, the good or property is returned to him. However, in case he cannot repay the amount, the bank has the power to sell the property and take the money. Popular forms of pledge include Gold /Jewellery Loans, Advance against goods,/stock, Advances against National Saving Certificates etc. This is the practice where the borrower pledges collateral to acquire a loan. However, the borrower owns the property or collateral until he pays off the debt. In case, the borrower defaults, the creditor that loans the money must acquire the property or collateral and sell it in order to pay off the debt. These are most common in mortgages, where the borrower is issuing a loan using the house as collateral. If he fails to make payments, the creditor usually seizes the house and sells it. Mortgage is not a way of lending but rather the security interest in real property held by the borrower. These terms are often used for immovable property, such as real estate. A mortgage, in itself, is not a debt, but rather a security for a debt. When a person issues a mortgage, they sign over an interest of the property to the lender. However, the borrower still has full ownership of the property. In case the borrower is unable to repay the loan on the mortgage, he must forfeit the property to the lender and the lender will take the money which is owed to him and return any excess money to the borrower.